The 4 parking spaces, M191, M192, M193 and M194, may be occupied only with the proper UNMCCC Temporary Parking Permit. Parking passes will be given on a first come first serve basis. All passes must be requested at least 24 hours in advance. 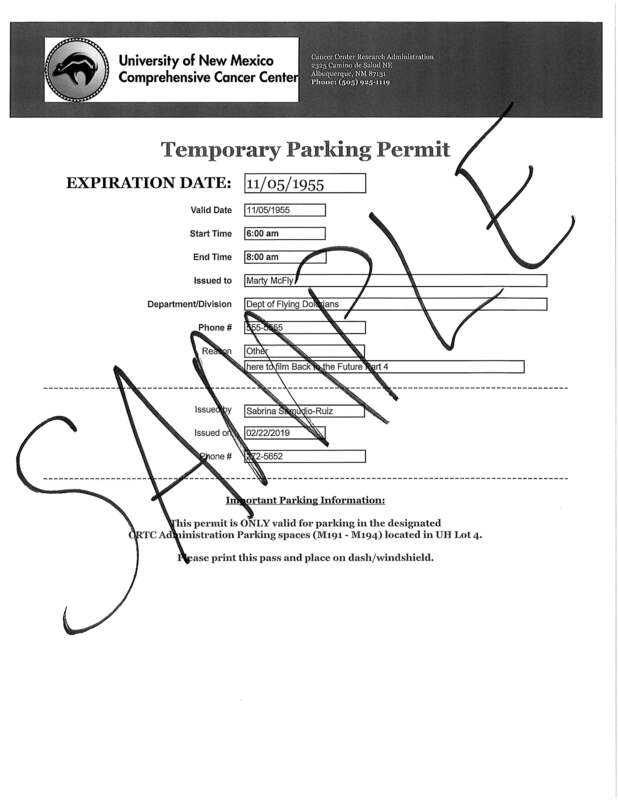 Once 4 spots are assigned in our CRF parking calendar, no other passes will be given out. The following people are the ONLY people who can give you passes to park in the CRF parking spaces.